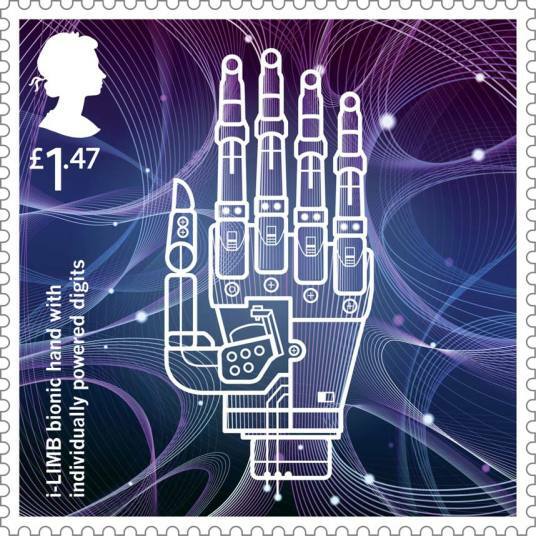 David Gow, a former School of Engineering student, is to have his pionnering invention featured on a new set of Royal Mail stamps celebrating Inventive Britain. The i-limb artificial hand that he developed is one of eight great innovations from the last century selected for the special collection. The bionic hand has a rotatable thumb and articulated fingers, each one individually powered by its own miniature motor and gearbox. David, who studied Mechanical Engineering at Edinburgh, is a fellow of the Royal Academy of Engineering and was made a CBE in last year's birthday honours. The stamps also celebrate another Scottish inventor, Edinburgh-born William Watt, who invented carbon fibre.